This morning I woke up to rain. Oh frabjuous day! I needed this break from the heat, the sun, the muggy air, and more sun. 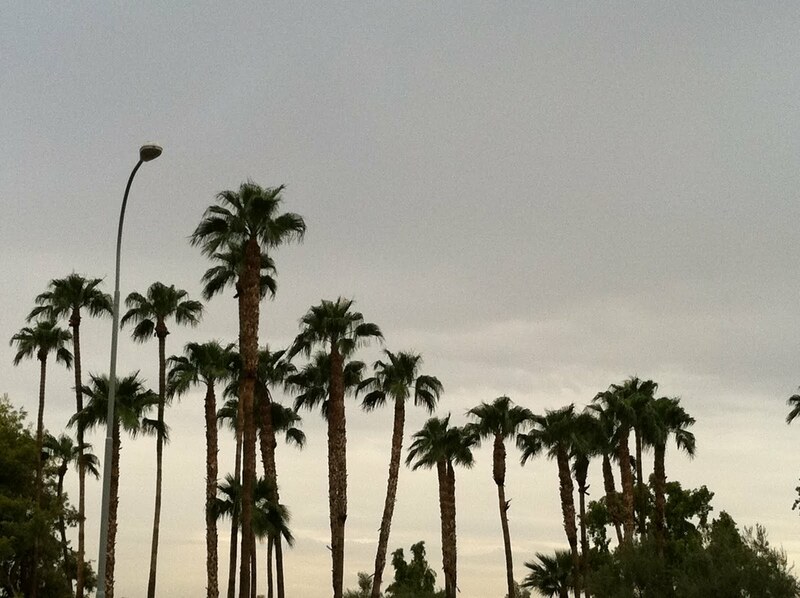 Don’t palm trees look nice against a backdrop of clouds? The morning had a very back-to-school feel: me, tromping through the rain with a fresh haircut, wearing stiff jeans and yet-to-be scuffed sneakers. Fingers crossed this the beginning of the end of a frumious summer.